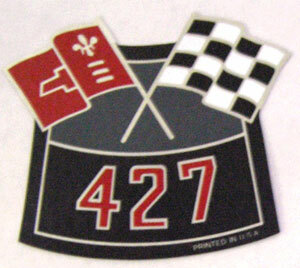 The paint stencil kit for the 1967 Corvette which featured the hood bulge is recreated from an original GM paint stencil kit. Center 2 piece nose spear stencil. See note below. Left & Right front upper hood stencils that are used on the raised portion of the hood. Left & Right upper hood stencils. How to, factory spec sheet. Color photo’s showing over spray from an original hood. PPG paint chart sheets featuring GM paint color codes. Note: Due to the compound curve in the bulge in the front nose section. 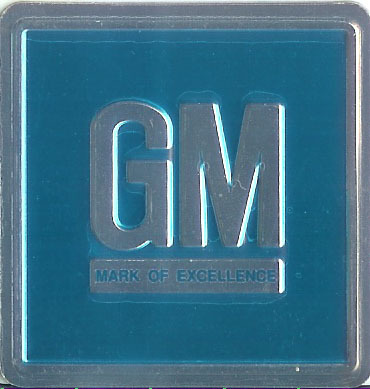 In a one piece format the stencil would not conform to the shape of the bulge this is why GM used the 2 piece format. We Were Second.. to offer a kit created directly from their stencil in 1991. Even the part number is the same. not paper, and will not dry up or peel. These are the highest reproduction available today. will not lift over time. has a tendency to lift. 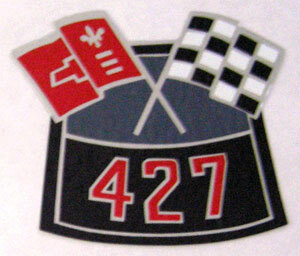 NOTE: The 390 HP decal along with the 427 Cross Flag decal were made possible by the late Robert Lojewski a Bloomington Corvette Judge and his commitment to exactness. 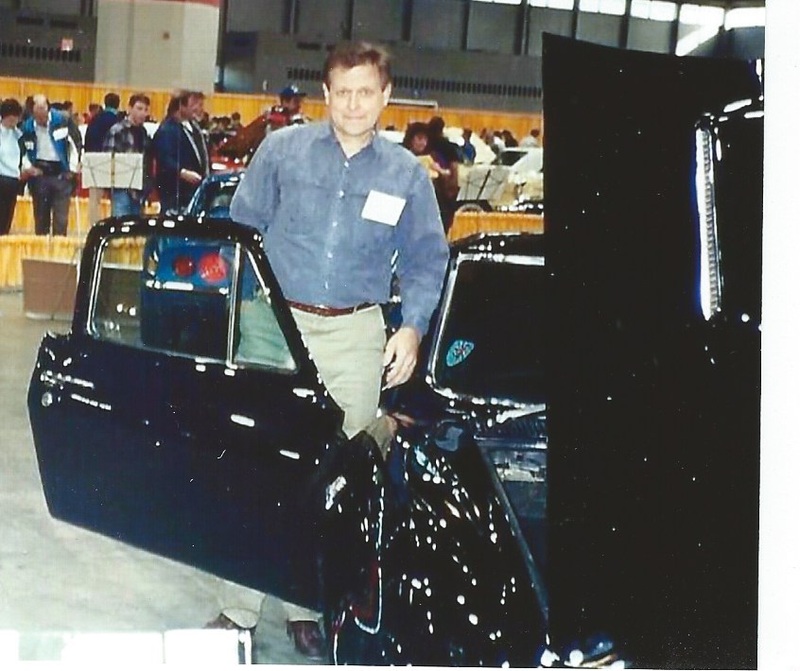 Bob shown with his 1965 one owner 427 Corvette.